During a bitter cold Brooklyn winter, homeowners have to protect their plumbing from freezing. A burst water pipe can be a major and expensive headache. Your neighbors at Petri Plumbing want to help prevent that. Insulate your pipes. 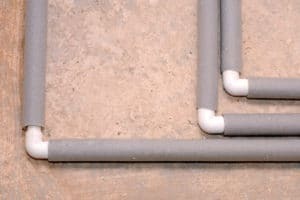 You can protect exposed pipes by wrapping them in foam insulation. It’s easy and cheap. Insulate your home. Check for gaps and cracks around doors, windows, and foundations, and other areas. Let faucets drip. When the temperature drops significantly below freezing, slightly open both the hot and cold taps on bathroom and kitchen faucets to let the water trickle. Encourage circulation. During a cold snap, you can leave kitchen and bathroom cabinets open, letting warm air circulate around the plumbing. One of the first things you want to do if you have a burst pipe is shut off the water supply to your home. Make sure you know where to find the main shut-off valve in an emergency. If you need help finding it, Petri offers a free emergency valve labeling service. We’ll mark each valve in your home so you can easily find the right one in an emergency. Petri Plumbing is here to help you avoid that costly winter mess. We’re glad to inspect your plumbing to spot any old or weakened pipes that need replacing. Our licensed professional can find any little problems that might turn into expensive messes later on. The experts at Petri Plumbing can offer winterize your home plumbing system to help keep it from freezing. Want to schedule a service call or an inspection? Contact us at (718) 748-1254 today for help.